Central Asia, located at the crossroads of Russia, China, and the Islamic world, remains one of the world’s least-understood regions, despite being a significant theater for muscle-flexing by the great powers and regional players. 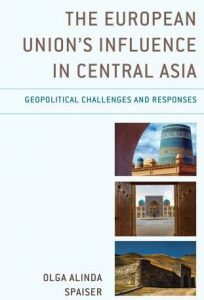 This series, published in partnership with George Washington University’s Elliott School of International Affairs, offers deep insights into Central Asia by providing readers unique access to state-of-the-art expertise on the region. Going beyond media clichés, the series brings the study of Central Asia into the framework of social sciences and hopes to overcome the dearth of works on the region for both scholarly knowledge and undergraduate and graduate student education. To be considered for publication, please contact Professor Laruelle, [email protected] and send an outline of your manuscript. Azerbaijan’s independence came after seven decades of militant atheism of Soviet modernization project and emerged into staunch secularism of Western modernity, two factors that, on a par with the country’s precarious neighborhood, promised a sustained indigenous effort towards the desacralization of the country’s political space and the associated exclusion of religion from politics, a modern blueprint that the Azerbaijani state and its society have stood united to diligently follow over the cause of the country’s independent existence. Yet the specific dynamics facing the country in the third decade of independence and the changing contours of its international engagements have gradually been working to set the country free from the stifling grips of Western-style modernity and lay the groundwork for quintessentially and esoterically Azerbaijani pathway of statehood to follow, one combining the nation’s historical embeddedness in an Islamic milieu with its century-old practical experience of modern policy making. 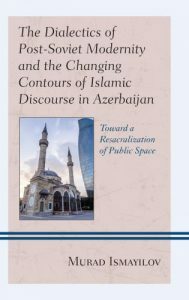 This book offers a detailed account of the dynamics behind the religious-secular divide in Azerbaijan over the past two decades of independence and the conditions underlying the ongoing process of normalization of Islamic discourse and the rising cooperation across the country’s secular-religious political landscape and looks into some future dynamics this transformation is set to unleash. It begins with an outline of hybrid intentionality behind the elite’s manifold attitudes to Islam, with particular focus on the strategy of separation between religion and politics in which those attitudes have found expression. It then proceeds to show the complicity of civil society and the broader populace, as well as the international community and the country’s Islamic stratum itself, in the reproduction of the narrative of Islamic danger and the resultant religious-secular divide in post-Soviet Azerbaijan. The study then continues with an account of a number of dialectical tensions inherent in policy outcomes to which the hybrid nature of elite intentionality has given rise. It then follows on to discuss key factors contributing to the ongoing normalization of Islam across the public realm and the gradual bridging of the religious-secular divide amidst the ongoing state repression. The volume concludes with a comparative insight into some common features and conditioning factors behind the dynamics underlying the religious-secular nexus in Azerbaijan and across the broader region of the Middle East. It also offers an insight into some future potentialities that the current dynamics have laid bare. The southernmost and poorest state of the Eurasian space, Tajikistan collapsed immediately upon the fall of the Soviet Union and plunged into a bloody five-year civil war (1992–1997) that left more than 50,000 people dead and more than half a million displaced. After the 1997 Peace Agreements, Tajikistan stood out for being the only post-Soviet country to recognize an Islamic party—the Islamic Renaissance Party of Tajikistan (IRPT)—as a key actor in the civil war as well as in postwar reconstruction and democratization. Tajikistan’s linguistic and cultural proximity to Iran notwithstanding, the balance of external powers over the country remains fairly typical of Central Asia, with Russia as the major security provider and China as its principal investor. Another specificity of Tajikistan is its massive labor migration flows toward Russia. Out of a population of eight million, about one million work abroad seasonally—one of the highest rates of departure in the world. Migration trends have impacted Tajikistan’s economy and rent mechanisms: half of the country’s GDP comes from migrant remittances, a higher share than anywhere else in the world. However, it is in the societal and cultural realms that migration has had the most transformative effect. Migrants’ cultural and societal identities are on the move, with a growing role given to Islam as a normative tool for regulating the cultural shock of migration. Islam, and especially a globalized fundamentalist pietist movement, regulates both physical and moral security in workplace and other settings, and brings migrants together to make their interactions meaningful and socio-politically relevant. It offers a new social prestige to those who work in an environment seen as threatening to their Islamic identity. 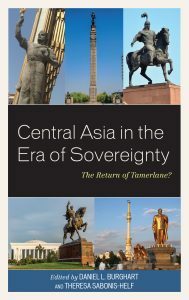 Central Asia in the Era of Sovereignty. The Return of Tamerlane? After twenty-five years of independence, there is little doubt that the five Central Asian states will persist as sovereign, independent states. They increasingly differ from each other, and are making their way in global politics. No longer connected only to Russia, they are now connected in important ways to Afghanistan, South Asia, China, Iran, and each other. This volume covers a wide range of issues and presents the work of emerging scholars authors well-known for their expertise in the region. The first part addresses social issues. Covering a wide range from HIV/AIDs to social media, the rebirth of Islam, outmigration, and problematic borders, this section follows two main currents: political development in the region and states’ responses to transboundary challenges. The second part, addressing economics and security, provides analyses of new infrastructure, informal economies (from bazaars to criminal networks), energy development, the role of enclaves in the Ferghana Valley, and the development of the states’ military structures. This section illuminates the interactions between economic developments and security, and the forces that could undermine both. The final part, comprised of five case studies, offers a “deeper dive” into a specific factor that matters in the development of each Central Asian state. 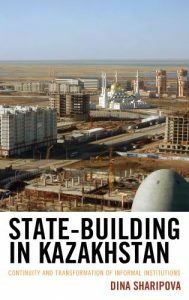 These cases include Kazakhstan’s foreign policy identity, Kyrgyzstan’s domestic politics, Tajikistan’s pursuit of hydropower, foreign direct investment in Turkmenistan, and the perception of everyday corruption in Uzbekistan. Language, Literacy, and Social Change in Mongolia is the first full-length treatment of literacy in Mongolian. Challenging readers’ assumptions about Central Asia and Mongolia, this book focuses on Mongolians’ experiences with reading and writing throughout the past 100 years. 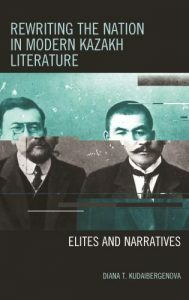 Literacy, as a powerful historical and social variable, shows readers how reading and writing have shaped the lives of Mongolians and, at the same time, how reading and writing have been transformed by historical, political, economic, and other social forces. Mongolian literacy serves as an especially rich area of inquiry because of the dramatic political, economic, and social changes that occurred in the twentieth and twenty-first centuries. For the seventy years during which Mongolia was a part of the communist Soviet world, literacy played an important role in how Mongolians identified themselves, conceived of the past, and created a new social order. Literacy was also a part of the story of authoritarianism and state violence. It was used to express the authority of the communist Mongolian People’s Revolutionary Party, control the pastoral population, and suppress non-socialist beliefs and practices. Mongolians’ reading and writing opportunities and resources were tightly controlled, and the language policy of replacing the traditional Mongolian script with the Cyrillic alphabet immediately followed the violent repression of Buddhist leaders, government officials, and intellectuals. Beginning with the 1990 Democratic Revolution, Mongolians have been thrust into free-market capitalism, privatization, globalization, and neoliberalism. In post-socialist Mongolia, literacy no longer serves as the center for Mongolian identity. Government subsidies to pastoral literacy resources have been slashed, and administrators now find themselves competing with other “developing countries” for educational funding. Due to the pressures caused by globalization, Mongolians have begun to talk about literacy and language in terms of crisis and anxiety. As global flows of English compete with new symbols from the distant past, Mongolians worry about the perceived lowering standards of Mongolian linguistic usage amid rapid economic changes. These worries also reveal themselves in official language policies and manifest themselves in the multiple languages and scripts that appear in the capital of Ulaanbaatar and other urban areas. Over the past three decades, Uzbekistan has attracted the attention of the academic and policy communities because of its geostrategic importance, its critical role in shaping or unshaping Central Asia as a region, its economic and trade potential, and its demographic weight: every other Central Asian being Uzbek, Uzbekistan’s political, social, and cultural evolutions largely exemplify the transformations of the region as a whole. And yet, more than 25 years after the collapse of the Soviet Union, evaluating Uzbekistan’s post-Soviet transformation remains complicated. Practitioners and scholars have seen access to sources, data, and fieldwork progressively restricted since the early 2000s. The death of President Islam Karimov, in power for a quarter of century, in late 2016, reopened the future of the country, offering it more room for evolution. 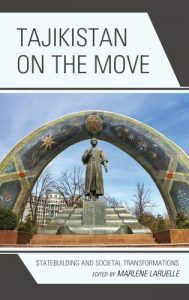 To better grasp the challenges facing post-Karimov Uzbekistan, this volume reviews nearly three decades of independence. 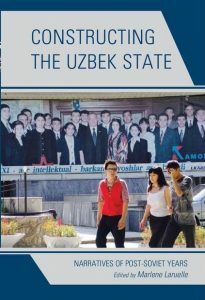 In the first part, it discusses the political construct of Uzbekistan under Karimov, based on the delineation between the state, the elite, and the people, and the tight links between politics and economy. The second section of the volume delves into the social and cultural changes related to labor migration and one specific trigger – the difficulties to reform agriculture. The third part explores the place of religion in Uzbekistan, both at the state level and in society, while the last part looks at the renegotiation of collective identities. 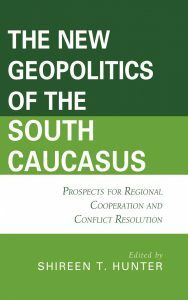 This collection surveys the three South Caucasian states’ economic, social and political evolution since their independence in 1991. It assesses their successes and failures in these areas, including their attempts to build new national identities and value systems to replace Soviet-era structures. It explains the interplay of domestic and international factors that have affected their performance and influenced the balance of their successes and shortcomings. It focuses on the policies pursued by key regional and international actors towards the region and assesses the effects of regional and international rivalries on these states’ development, as well as on the prospects for regional cooperation and conflict resolution. Finally, it analyzes a number regional and international developments which could affect the future trajectory of these states’ evolution. 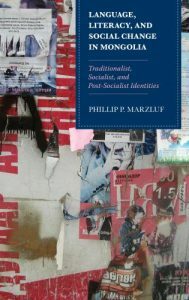 This book challenges the conventional wisdom that informal institutions—networks, clientelism, and connections—have to disappear in modern societies due to liberalization of the economy, rapid urbanization, and industrialization. The case of Kazakhstan shows that informal reciprocal institutions continue to play an important role in people’s everyday lives. Liberalization of the economy and state retrenchment from the social sphere decreased the provision of public goods and social support to the population in the post-independence period. Limited access to state benefits has, in turn, stimulated people’s engagement in informal reciprocal relations. The author investigates informal channels and mechanisms people use to gain access to quality public goods—education, housing, and healthcare. Comparing the Soviet and post-Soviet periods, the author shows that people are more likely to rely on family networks and clientelist relations rather than on help from the state to obtain scarce resources. The book provides an important contribution to the literature on informal institutions and explains the relationship between a formal welfare state and informal reciprocity. Central Asia is a relatively understudied neighbor of Afghanistan. The region is often placed into a number of historical and political contexts—a section of the Silk Road, a pawn in the “Great Game,” the “spillover” state that exemplifies the failure of US foreign policy—that limit scholarly understanding. This edited volume contributes by providing a broad, long-term analysis of the Central Asia–Afghanistan relationship over the last several decades. 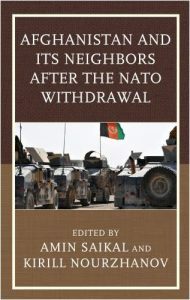 It addresses the legacy of Soviet intervention with a unique first-hand selection of interviews of former Soviet Central Asian soldiers that fought in the Soviet–Afghan War. 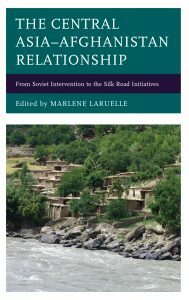 It examines Afghanistan’s norther neighbors, discussing Russia, Uzbekistan, Tajikistan, and Turkmenistan—their strategy for Afghanistan, their perception of challenges and opportunities of the country, and patterns of cooperation and conflict. The collection also looks at recent US strategic initiatives in the region, in particular the New Silk Road Initiative that envisions a growing Central Asia–South Asia connection. This anthology of articles, short studies, and interviews by Alexandros Petersen were written over the span of ten years, starting in 2004. Yet they are even more relevant today in their prescient analysis. Petersen insightfully addressed the implications of the West withdrawing its engagement from the Caucasus and Central Asia, the expansion of the Chinese influence, and Russia’s strategic interests. The collection is organized along four main topics: (1) Eurasia and a changing transatlantic world: the world politics of shifting frontiers in the post-Soviet world; (2) Energy geopolitics in the Caspian and beyond, with its crucial implications for European energy security; (3) the Black Sea world, covering the dynamics of Russia, Turkey, and the South Caucasus, including the role of NATO and frozen conflicts in the region; (4) the new silk roads: China’s inroads in Central Asia, which is often overlooked in the West but will be critical for the geopolitical balance of powers. Kazakhstan is one of the best-known success stories of Central Asia, perhaps even of the entire Eurasian space. It boasts a fast growing economy—at least until the 2014 crisis—a strategic location between Russia, China, and the rest of Central Asia, and a regime with far-reaching branding strategies. But the country also faces weak institutionalization, patronage, authoritarianism, and regional gaps in socioeconomic standards that challenge the stability and prosperity narrative advanced by the aging President Nursultan Nazarbayev. 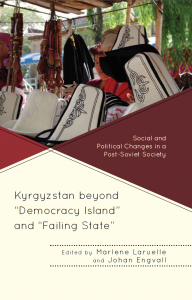 This policy-oriented analysis does not tell us a lot about the Kazakhstani society itself and its transformations. 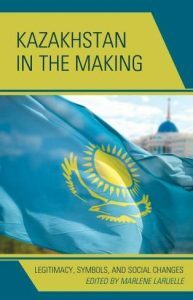 This edited volume returns Kazakhstan to the scholarly spotlight, offering new, multidisciplinary insights into the country’s recent evolution, drawing from political science, anthropology, and sociology. It looks at the regime’s sophisticated legitimacy mechanisms and ongoing quest for popular support. It analyzes the country’s fast changing national identity and the delicate balance between the Kazakh majority and the Russian-speaking minorities. 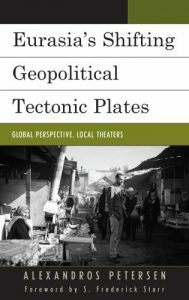 It explores how the society negotiates deep social transformations and generates new hybrid, local and global, cultural references. In May 1992 political and social tensions in the former Soviet Republic of Tajikistan escalated to a devastating civil war, which killed approximately 40,000-100,000 people and displaced more than one million. The enormous challenge of the Soviet Union’s disintegration compounded by inner-elite conflicts, ideological disputes and state failure triggered a downward spiral to one of the worst violent conflicts in the post-Soviet space. This book explains the causes of the Civil War in Tajikistan with a historical narrative recognizing long term structural causes of the conflict originating in the Soviet transformation of Central Asia since the 1920s as well as short-term causes triggered by Perestroika or Glasnost and the rapid dismantling of the Soviet Union. For the first time, a major publication on the Tajik Civil War addresses the many contested events, their sequences and how individuals and groups shaped the dynamics of events or responded to them. The book scrutinizes the role of regionalism, political Islam, masculinities and violent non-state actors in the momentous years between Perestroika and independence drawing on rich autobiographical accounts written by key actors of the unfolding conflict. 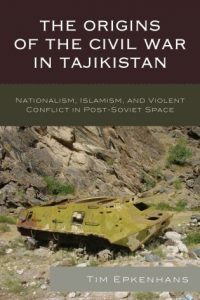 Paired with complementary sources such as the media coverage and interviews, these autobiographies provide insights how Tajik politicians, field commanders and intellectuals perceived and rationalized the outbreak of the Civil War within the complex context of post-Soviet decolonization, Islamic revival and nationalist renaissance. The South Caucasus has established itself as a corridor for transporting energy from Azerbaijan to Georgia, Turkey, and on to Europe, symbolized by the Baku-Tbilisi-Ceyhan oil pipeline. This new infrastructure has created an east-west “Eurasian bridge” in which transnational extra-regional actors, especially the European Union and international financial institutions, have played a critical role. 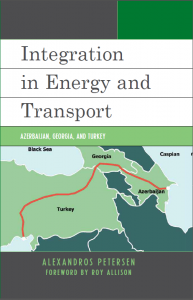 This book offers an original exploration of integration in the energy and transport sectors amongst Azerbaijan, Georgia, and Turkey, and the capacity of this to fundamentally change relations between these countries. In the period studied, from the mid-1990s to 2008, integration in energy and transport did not result in broader political, security, and sociocultural integration in any significant way. The author sets his analysis in a theoretical framework, drawing on theories of integration, but also grounds it in the detailed, empirical knowledge that is the measure of true expertise.